SEO Circle provides the efficient keyword research service in Mumbai. Keywords are words that reveal the structure of the content. Keywords are very important for SEO campaign as they tell where to go. Keyword Research is the foundation of SEO. It is used by SEO professionals to find out the terms people enter in the search engine to get any information. Keyword research helps to find the terms which can be used to find similar words. These words when used can increase the rank of the web site. We understand how important it is for the newcomers to get to top ranking, hence we find the keywords that are to be targeted. It is also needed to know the demand for the terms and the reason why it is needed. We are known for keyword research service in Mumbai where we find the right keywords that can help giving high ranks to your websites. As the keyword research is an important process in the SEO campaigning so our experts make sure you get high returns. 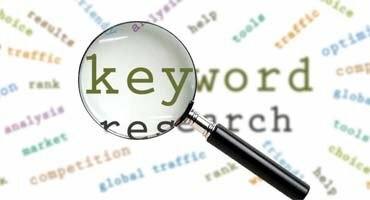 As a part of keyword research service in Mumbai we not only find the terms to target with SEO but also get know about the customers as well. This helps in drawing the right kind of users to your web site. Our researchers forecast change in demand and help in providing products or content for the web site that searchers are seeking based on the shifting market conditions. Keywords with little competitions can get the top ranking in a search engine result page thus attracting traffic. Good keywords are those that are related to the concept of the web site, and are less competitive. To get the best results with SEO, it is vital to select these good and important keywords. This task of finding the relevant keywords requires lot of efforts. This is done by using tools in keyword research. SEO Circle who are known for the keyword research service in Mumbai have trained professionals who do this brainstorming work to help clients get high ranks in the search engine results page. © 2017 SEOCIRCLE. All Rights Reserved. CLICK HERE TO GET QUOTE.